VGA card manufacturers seem to have finally started taking care for the crypto mining market that has been growing significantly lately due to the high profitability for crypto mining. 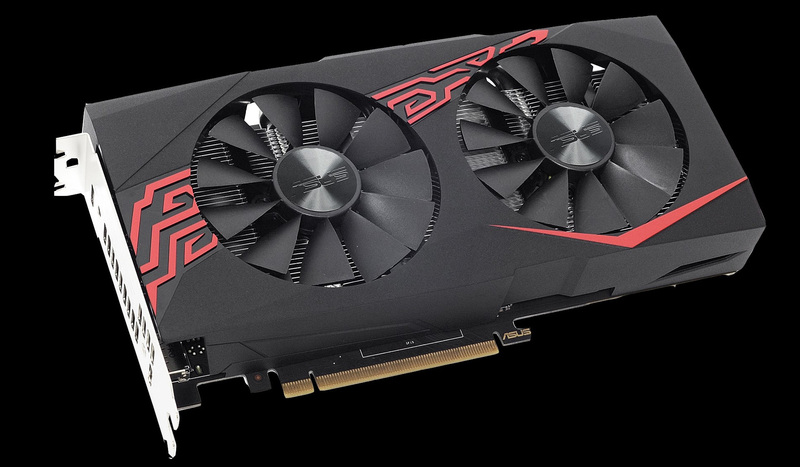 ASUS, one of the top brands not only for VGA, but for other PC components as well has announced their Nvidia GeForce GTX 1060-based mining video card and the product is called ASUS Mining P106. We have already talked about Nvidia’s plans to release a crypto mining oriented GPU for miners based on their GTX 1060 GPU. Originally the plan was to have this product on limited markets and not available in the retail chain, but it seems that this plan can change with ASUS and other VGA brands joining with products that can become available through the usual distribution channels as well. The ASUS Mining P106 is based on the NVIDIA P106-100 GPU and comes with 6GB GDDR5 that has probably been modified with custom timings in order to increase the hashrate for more memory intensive mining algorithm such as Dagger-Hashimoto (Ethash) used by Ethereum. The GPU Base Clock is 1506 MHz and the Boost Clock is 1708 MHz, the video memory is 8008 MHz GDDR5. The initial information was that the NVIDIA P106-100 GPU should be based on the 9 Gbps version of the GTX 1060, though this might still be true with the memory is apparently at 8 Gbps with more aggressive timings. As expected the ASUS Mining P106 GPU does not feature any kind of video outputs so it is essentially limited to only computing tasks such as mining and will not be an interesting product for gamers that might also want to mine, but still be able to play games. Other interesting features on the ASUS Mining P106 include the dual ball-bearing fans that are IP5X-certified to be dust resistant and thus offer a longer fan lifespan and this is really important as far as crypto mining goes. ASUS also claims that they have used components that enhance efficiency, reduce power loss, decrease component buzzing under load, and lower thermal temperatures for unsurpassed quality and reliability. There is no mention about warranty period as initially Nvidia had plans to offer their mining GPUs with just 3 months of warranty, though we are hearing that other brands such as ASUS might actually be with 1 year warranty. No word about pricing either, though the mining GPUs should be cheaper than the consumer version of GTX 1060 in order to be more attractive to miners and we are probably going to be seeing them starting to appear on the some markets sometime next month. ASUS has also announced a second GPU targeted at miners, but that one is really not that interesting like the NVIDIA P106-100 GPU is. The ASUS Mining RX 470 is essentially a standard AMD Radeon RX 470-based video card with 4GB video memory at 7000 MHz, there is no word about improved timings for mining that will result in better performance. The design of the AMD mining GPU is very similar to the Nvidia mining model, though here you have video output connectors and cans till use the card for gaming if you want to. The fans are the same and ASUS claims that the same improved components are being used to offer better reliability for longer term mining usage.